How many of your Facebook friends are really your friends? Can someone truly be a friend of 300 people? 500? 1000? Think about it, in real life you probably have about 10-15 friends, and there are likely only a handful of those you can count on in times of crisis. These are people you have a genuine relationship with – there’s some personal history, not just names and faces. There’s really no point in having lots of fake friends just for the sake of looking popular. Facebook is not like LinkedIn where you need more connections for career networking. Ideally, Facebook should be a place where you can interact with your already existing friends. In short, your real friends are those people with whom you would be in touch even if there were no Facebook. Obviously, this is a small percentage of your total Facebook friends. So most of the time you spend on Facebook is wasted on receiving updates from / updating people who otherwise wouldn’t even be on your radar. Admittedly, Facebook has made it easier to control who pops up in your news feed with the unfollow button. So users can still be friends with people but not have their posts show up. It’s basically a sneaky way of unfriending someone without taking a chance on feelings being hurt. Like the sister-in-law who drives you crazy because she does nothing but brag all the time, so you remove her from your feed but you keep her on your friends list for the sake of your brother. But in most cases, if you don’t read their posts, why have them on your friends list at all? Sometimes it’s just better to cut the cord. Do you really need to stay connected with the guy who you had one class with two years ago? Maybe you thought he was cute at the time, but you’ve since moved on. Or maybe you accepted friend requests of random people without giving it another thought, but now you regret having done so. It’s perfectly okay to unfriend people on Facebook – it’s kind of like learning how to say “no.” But once you’ve started to trim down your friends list, it’s like deleting old e-mails. You may find it hard to stop. Below are the ten types of people you should unfriend on Facebook. You met this person once at your cousin’s friend’s brother’s party, had a quick chat, and after that, they sent you a friend request on Facebook. You accepted it because hey, you guys talked and apparently that means you’re now friends! Well, stop deceiving yourself. You don’t actually know that person nor are you going to ever meet again, either for platonic or romantic purposes. And yet months later, they are still in your feed. Time to let them go. Facebook has made life easier for people to connect with long-lost friends, but why bother? It might be fun at first to add that person you knew in high school or even elementary school who you haven’t seen in years. You connect briefly, compare what you have and what they have. Then that’s it. Unless you’re trying to rekindle a relationship, years may go by without any other contact. You won’t miss anything by unfriending them. Look… we get it. You had some great times and maybe you want to be able to look back on those photos and reminisce. But if you are planning to let them stay on your Facebook list just so you can show them how much better off you are now, or to keep tabs on what they’re doing (and who they’re dating), that’s a bad idea. It’s much healthier to just move on. Breaking up means removing them from every aspect of your lives, including Facebook. This would also include your ex’s siblings, friends, and anyone else related to them. You don’t even know who they are. You just have lots of mutual friends in common. Maybe she was your boyfriend’s classmate or maybe he was the guy who attended the same convention as you. But you have no clue as to who they are exactly and you have not actually talked to them in real life. If they’re not your friend but they’re your friend’s friend – or your friend’s mom! – unfriend them. And do you really need to be friends with your friend’s sister’s pet??? Some people just can’t help posting about politics and hot topics on social media. But if you find yourself constantly annoyed by a particular friend’s rants, don’t feel bad about unfriending them on Facebook. The political climate is especially divisive these days, so hanging on to that person who tries to initiate heated debates, or who goes off on long-winded tirades on how they hate or love the President, probably won’t be helpful for your mental health. The same with those annoying commenters who always want to start arguments over things you post or the grammar police who always want to find fault. Trust me, getting rid of them will save you a lot of unnecessary stress. It’s true that social media can have a negative impact on your self-esteem or mental health. So whether you’re upset by “Debbie Downer” who is always complaining and posting negative things, or the person who brags about how great their life is all the time – if they make you feel bad, unfriend them. Both types are just trying to get attention. This might also include those “Lovey-Dovey” couples who constantly post about how much in love they are and everything is roses. Great. It doesn’t mean Facebook users need a reminder every day, especially if they’re single. Seriously, if you ever find yourself feeling worse about yourself or your life because of someone you are following on social media, unfriend them immediately. It will be better for your sanity. Life is hard enough without inviting grief into your personal space. This would obviously include anyone who is bullying you. Unfortunately, much of social media is made up of over-glamorized, over-edited, and over-exaggerated frames of life. What seems to be real is often fake. If you find yourself scrolling through your feed, harshly comparing ModelMandy’s perfect body to your flabby one, or AllHomesShouldLookLikeThis’s impeccably clean and decorated home to your cluttered and lived-in one, then stop. Time to face facts: if you’re following complete strangers whose lives seem too good to be true, they probably are. You know the type. They share way too much information: what time they got up, which song they were listening to in the morning, and what they ate for breakfast (complete with photos). They should be posting in an online diary, not on Facebook. Seriously, why do they think broadcasting their daily personal lives on Facebook is important for humankind? Newsflash: No. One. Cares. Save yourself the pain of reading their tiresome posts. Not to mention the people who spam your notifications with game invites, game requests, affiliate links, cat memes, and what not. So annoying… just unfriend them already! Real friends don’t make friends sift through pages of rubbish. If someone on your social media account is giving off a weird vibe or making you feel uneasy, unfriend them immediately. In today’s world of hackers, cat fishers, scammers and stalkers, you have to be super careful about who you let into your virtual life. If you post photos and information about yourself or your family, make sure your posts go to friends only and not to the public. When accepting new friend requests, exercise caution. Things can get awkward, creepy, and sometimes ugly if you accept a stranger’s friend request, so don’t do it. Think about it: why would a complete stranger want to friend you of all people? You never know, they may be plotting to steal from you or even kidnap you. If you don’t know who they are, it isn’t worth the risk. Seriously, these people should just delete their Facebook account. They don’t even have a cover photo and their whole profile is private. You can’t contact them or tag them in any pictures. Basically, they have a phantom Facebook profile that’s essentially useless. Phantoms shouldn’t be your Facebook friend. And after the great purge is finished? Now you won’t be flooded by endless feeds of stuff that you don’t even care about. That leaves you with a timeline full of content you actually want to read, personal dispatches from friends you really do care about, and updates from family members who live far away. Yay! 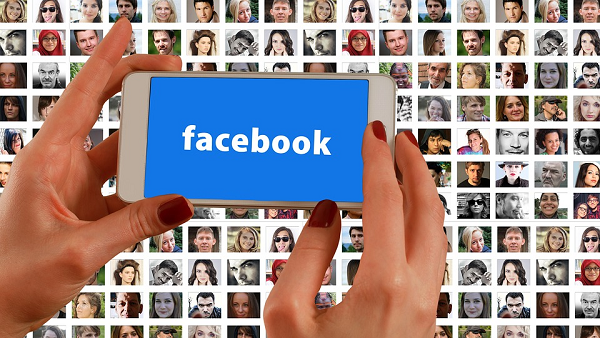 What are your thoughts on having a smaller or larger number of Facebook friends? Or if you have any more suggestions on who to purge from our friends list, feel free to share in the comments below!